During rehearsals, the members of a high school concert band collectively have a series of crazy daydreams. “Pas Redouble” is a very personal film which tells of these dreams. 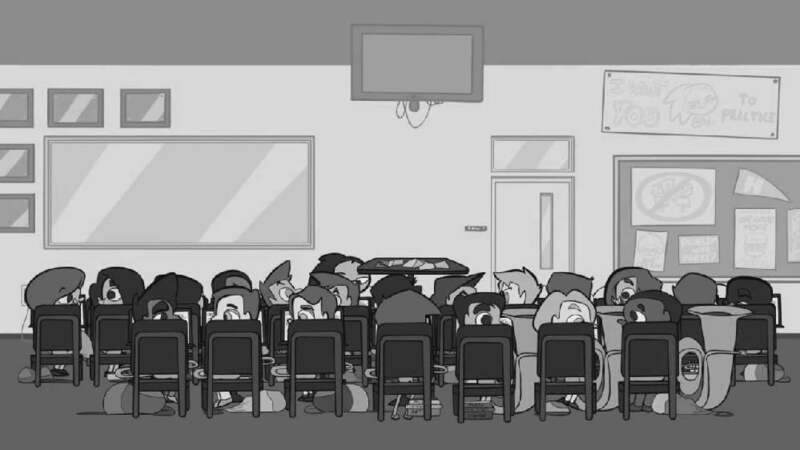 In the computer animation, the director expresses his love for his high school band and for – as he calls it – one of the best periods of his life. The film features numerous characters who are all based on real band members as well as the band leader. With their own voices, they, in a musical manner, talk about the daydreams they had during the rehearsals as well as about partly imaginary, partly real events.